The Version 2 of TrackStar 1/10th Touring Set-up System is available now! Precision counts when it comes to On-road touring cars. For optimal performance chassis geometry needs to be tuned to beyond a basic setup. Driver preference， consistent handling， and track layout all contribute to overall performance. Simply eye-balling your setup may work for out in front of the house speed runs， but when you go racing， whether it is for the national title or local bragging rights you want your car set up properly. The TrackStar 1/10th Touring Set-up System V2 comes to the rescue. 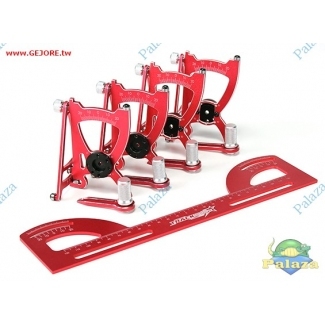 This complete car setup system is designed to check the whole chassis simultaneously. 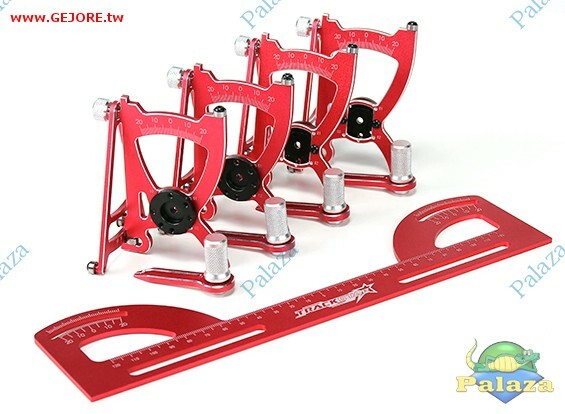 The system is made of machined aluminum， and is ball bearing supported， giving you precise measurements every time. Check castor， camber， and toe-in simultaneously. By measuring all everything at once， you get the big picture of how your setup looks.